There are many details yet to be described. The FAQ implies non-subscribers may see limits on inventory, bank tabs, credits, and character slots. Also not explained is whether non-subscribers may pay to lift these and other restrictions (e.g. races – could be an issue if your current characters are all locked down). It’s certainly possible that non-subscription will meet all of my needs, but I need more specifics to make a final call. My best guess is the new currency will be available to be used to get past the limited status items noted above. I would expect that the Operations, however, would continue to be limited to subscribers only to give a significant differentiation point between the commitment of subscribing versus paying-as-you-go with F2P. I would be surprised if they did NOT offer character slots for sale (both to F2P players looking to get back up to 8 slots and subscribers looking to go beyond 8). That part is a no-brainer because more characters means more time playing, which means more money no matter how you’re paying. Races will likely be for sale under the same principle. As to the other restrictions, that depends on their approach. For SOE’s free to play conversions – EQ1, EQ2, DCUO, and soon Vanguard – the model intentionally includes restrictions that non-subscribers cannot lift for any price because their goal is to push sales of the “optional” subscription. The stance on operations suggests that SWTOR may go this route as well. If that occurs, why would the only subscriber-only restriction be a completely optional endgame activity that many players weren’t going to try anyway? As I said, not making up my mind one way or the other right now, I just don’t think we have enough information yet. I think you need some sort of incentive to keep subscription money coming in regularly in addition to having cash shop gew gaws to purchase. I don’t think end game raiding would have the same lustre if you could purchase Operations access with the in game currency. In a perfect financial situation, you would have a model that encourages both the subscriptions and *also* has items folks will want to spend the cash shop currency on. I’m actually very interested in these F2P changes. I’ve tried the current “free to 15” version, and I do enjoy the game (although not enough to drop $40 on a digital version). I’d be interested in seeing and experiencing the stories past 15, so it looks like I’ll get to do that without breaking my games piggy bank. I do hope this model encourages more folks to hop in to the game. What server are you playing on? Good news; the new box price for the game is going ot be $15 with a free month of gameplay. And you’ll earn 200 Cartel Coins for every month you are subscribed prior to the November F2P conversion, starting in August. So, start today and you’ll have an extra 600 coins or so. If Bioware can resolve the technical issue with my account, then I’ll surely pick up the free to play option this Fall. Otherwise I’ll stay unsubscribed as I am now. I’ll cross my fingers for ya! I am of two minds on this. I have been a subscriber for about 3-4 months, but have yet to get a toon to level 50, run no Flashpoints, do not PvP, and pretty much play for 2-3 hours a week so it seems like the F2P model would work well for me. But it still rankles a bit that if I switch to F2P, I will be losing the travel modes that I presently have and may even have one or more of my toons locked down due to limits on race. Ultimately this could end up being a good thing for those of us with limited time to play. I am guessing the new cash shop currency will be able to unlock additional instances of the limited F2P items, such as the travel. Although I am sadness by the Free 2 play change, I realize that it is a necessary change as far as EA is concerned. That being said at this junction, I feel that EA is hindering SWTOR. Wow and Rift are both produced by companies that are not part of a publicly traded company and as such you never see news of layoffs publicized, the fact that EA has to publicize everything about there company is something that I am not sure that MMOs you how to deal with. WoW is part of Blizzard Activision, so it has had to publicize previous layoffs (I want to say they had some last year?) But I do agree that a big part of the Internet dramas has been that their layoffs affected folks many of the more engaged players had gotten to know via the forums and twitter. It’s not even a choice of plan for me. I raid. My guild is founded around raiding. So that means a subscription. I would love it if I could pay for the features I use and not the features I don’t. I never do PvP or Space, for example. It will be interesting to see how things net out further down the road. If all things become more a la cart, or if they retain the full service subscriptions. I’m a 6 month subscriber and I rolled mine back to 3 month subscription due to all the volatility. In my opinion, Bioware is too conservative with their PR approach when they should be just the opposite at this point. They aren’t able to get traction with these canned announcements like HK51, Makeb… They feel just like they are: manufactured. No interaction, no questions answered, not really anything to get excited about. They would really benefit from ‘leaking’ more out to fan sites, gamer mags, etc.. This underground marketing approach creates a ton of hype without a lot of expectations. The approach is too conservative for an industry who’s fanbase is just the opposite. I understand they’re a company with trade secrets, etc… If they announce timing, what do you know GW2/Wow/etc.. just will happen to have a release right before it. You can still ballpark it and release teaser information. Result? Everybody else got to write their own ‘ending’ to the story and that traction made headway all the way into financial publications. I think the fansites have been starving for information as of late. We had a lot more things to talk about previously for sure. I listen to a lot of SWTOR podcasts on my commute (at one point I think I was close to 10 or so). Just my .02 but I’d rather hear about stuff the hosts are doing in game, ins and outs of things like the economy/crafting/ops and commentary around the news/game happenings than trying to be a ‘news source’ for SWTOR. Many of the podcasts I even wonder if the hosts even play the game due to the lack of talk about what they are doing or any personal stories that happened to them in game. These are the reasons I like listening to you and Chris each week. I hope most of them actual shift their ‘meat and potatoes’ away from news. (1) because there’s not much coming from Bioware but also (2) I’ve usually already heard it somewhere else a few days ago from SWTOR.com/Reddit/Twitter/etc.. and (3) sometimes the whole podcasts become invalidated even before they are released because something happened that day to make them ‘old news’. Thanks for the kind words about the podcast — Chris and I truly enjoy chatting about the game each week. I feel like many of the fansites had more theorycrafting and speculating etc before the game launched. I’m with you on hoping we see more of that kind of content in the future. It’s what I like to read and hear as well. I am of the opinion that F2P is a good idea if done right. My other love is LOTRO and that is now F2P I still have a paid account and one “premium” which means it was F2P but I spent real cash on and one true F2P. The true F2P takes a little longer to level and get enough Turbine points to unlock quest-packs but that is fun to me. I will do the same if they have a way to earn the points in game maybe by deeds or something to that effect. I am happy that Bioware decided to go with 2 different approaches on this– the LOTROish F2P model and subscriber. I for one would be frustrated if I had to manage my play time, such as my GTN listings, via a finite pool of cash shop currency. I like that this way, gamers can pick the model that best suits their playstyle and POV. I might try out the free version of SWTOR when it’s available. I still have my WoW subscription, but haven’t actually played the game for about four months. It’s been extremely busy, in all honesty, I don’t think this fall will be different, so popping in to check out a free version of SWTOR, and purchasing additional items, if that’s an option, if I like the game (and I have the time) would be appealing. Of course this means I have homework to do… I’ll have to read up on the game, more than the casual approach I’ve taken, before I actually download itwhen it becomes free. I’d love to make you something fabulous to wear if you do! I’m on Canderous Ordo, The Bastion and Ebon Hawk, so let me know where you end up rolling! If you are planning to play Republic, I would recommend Canderous Ordo, as I have some baby alts there whom I would be happy to play with you. Thanks so much, you’re so kind. I’ll definitely let you know. It will be different starting a brand-new game (at least new for me). I’ve played Runes of Magic for a little bit, it was my first time I’ve played a Free to Play game. I have some free time this week, so I might download the free trial to see how I like it. If I like it, I’ll have something to look forward to this fall, right? Let me know if you get credit for referrals… if I like the game, I’ll mention you. Currently you’re the main SWTOR blog I follow, I don’t comment to much but I do read since I love games, even though I’m not actively playing them at the moment. what about the download link on the site will there be no free to play option there an we have to buy the game to get the option. please respond to this asap! I think short term at least it may be free to play after the purchase of the game (like Guild Wars 2.) Not seeing anything currently stating there would be a free download, other than the free trial. 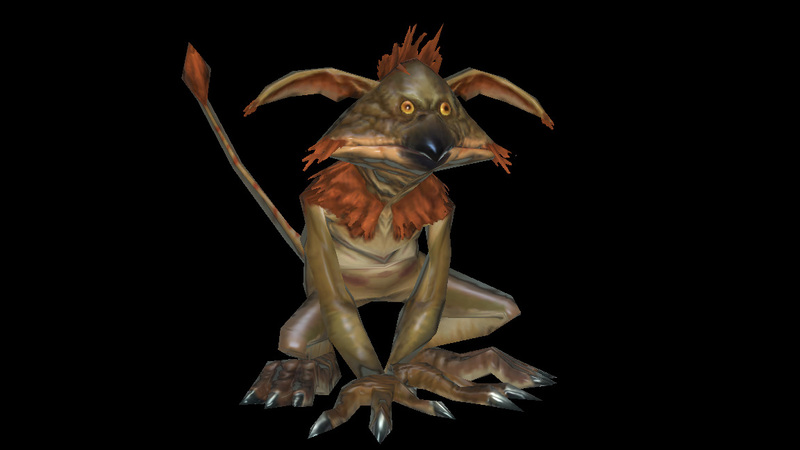 Pingback: TOR Reporter Episode 42– Free-to-Play Announced: Keep Calm and SWTOR On! 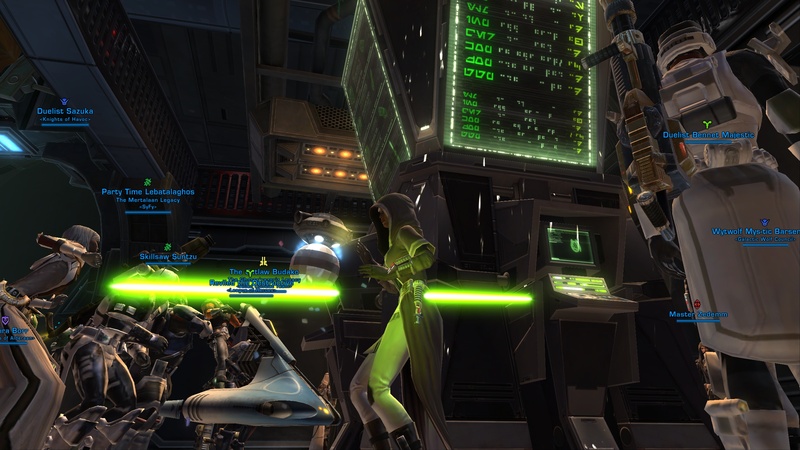 Pingback: F2P: SWTOR, you’re doing it wrong – Siha Games!